Looking for a quick and easy SEO guide for small businesses? Well, you’ve come to the right place! So why not take a few minutes to get the lowdown on what you need to know for your business? SEO (or Search Engine Optimization) is the process of optimizing a website so that it does better in search results. It’s all about being more visible, and having the potential to attract more customers to your business. This is important, because the majority of searchers don’t click beyond the first page of search results. So if your website isn’t making the first page, most people – most potential customers – aren’t seeing it. You see, there’s an entire system there that decides whose sites get to be on the first page. Of course, you have your paid adverts, but it’s those unpaid, organic search spots we’re looking at. Like I said, there’s an entire system that decides who gets ranked where, and it all comes down to the spiders. Well okay, they’re not really spiders; at least not in the creepy crawly sense. They’re web crawlers, and it’s their job to crawl websites to figure out just how good and relevant they are. The better and more relevant a website, the higher that website is ranked. So SEO is about making improvements to a website in order to charm spiders into ranking your site higher. 4. Research and compare prices. 5. Buy from the cheapest and most convenient option. The difference here is that the internet is often the starting point for commerce. Around 71% of shoppers believe they can get a better deal online than in stores. And 80% of shoppers have bought something online within the past year. That’s a lot of potential customers, and their numbers are growing at a rate of between 8% and 12%. So the market is most definitely there. 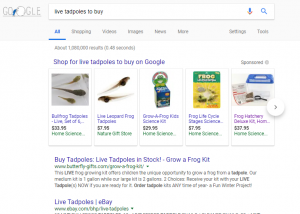 Moreover, organic search results are still the best way to get those all-important e-commerce conversions. And we all know what organic search results indicate. Yes, search engine optimization. SEO becomes even more important when it comes to doing business locally. Because organic results are one thing, but it’s your local SEO that will really have the most effect. I’ve talked a little about local SEO elsewhere, but it’s ok if you don’t want to wade through all of that. The least you need to know is that local SEO produces more immediate results. 50% of customers who conducted a local search on their smartphones visited a store within a day. The same was true of 34% of computer/laptop users too. mind, not people. Now think how many searches you might do when researching one product or service locally. Because it’s not just one search per person, but multiple searches (with 18% of those searches leading to a sale). Moreover, 60% of American adults use local search to research information about products or services. That’s a lot of people your business could be reaching. What SEO Guidelines Do I Need to Know? First things first: SEO guidelines change all the time. That sounds like a cop-out, but it’s not. It’s just that SEO is an ever-changing landscape, and a good idea five years ago just isn’t now. You see, there’s something of a game between search engines like Google and SEOs. They (Google et al.) work to keep the majority of their algorithm changes secret from the SEO community. (These algorithms basically tell the crawlers what to do.) 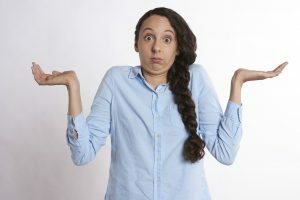 This is because there are some SEOs who always just looking for shortcuts, and who will do some pretty sketchy things to rank. We call these folks “Black Hat SEOs”. Now, search engines have a vested interest in ensuring the black hats don’t get their way. Because when they do, the results that people get suffer, and confidence in the search engine wanes. However, having said that, there are some guidelines-like-tips that small business owners can take onboard. These are a couple of the “constants”, so to speak. This is the area of SEO concerned with optimizing the function of your site. So, for example, factors like page speed, site architecture, and redirects would fall into this category. Simply put, you want your site to be fast, intuitive to navigate, and with nothing to confuse the crawlers. You want your site to be easy for both searchers and crawlers to go through, regardless of device. 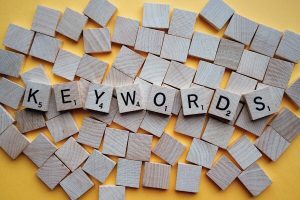 Although keywords strategies have broadened more recently with the arrival of semantic search, keywords are still important. Because you have to know what your target customers are searching for in order to optimize your site accordingly. So, clear and logical keyword strategies, with well-written content, are king. Additionally, avoid “thin” content (content which is largely useless), and get rid of any duplicate content. “Spun” content (or content plagiarized and then altered to look different) is also to be avoided. As I have hopefully demonstrated, SEO is an important part of any marketing strategy, for any size of business. However, it’s also not the easiest process to engage in. There is a process of constant learning and constant optimization of the optimization! And it’s for these very reasons why most businesses (unless they’re large enough to have in-house SEOs), hire SEO companies. Everybody wants the benefits; but well, what was that about the ever-changing sea? We at Misfit Interactive have been sailing those waters for a few years now. More importantly, we’ve been doing it with small businesses – we love sailing with small businesses. Our Captain even decided to get the small businesses on the big businesses boat, and all without upping the prices! See what I mean? So if you’re looking for your business’ guiding SEO star, why not take a look around our site? We also do web design, web hosting, and social media marketing. We’re your one-stop-shop for all things “web”! Interested in seeing what a bunch of Misfits could do for you? Why not contact us?